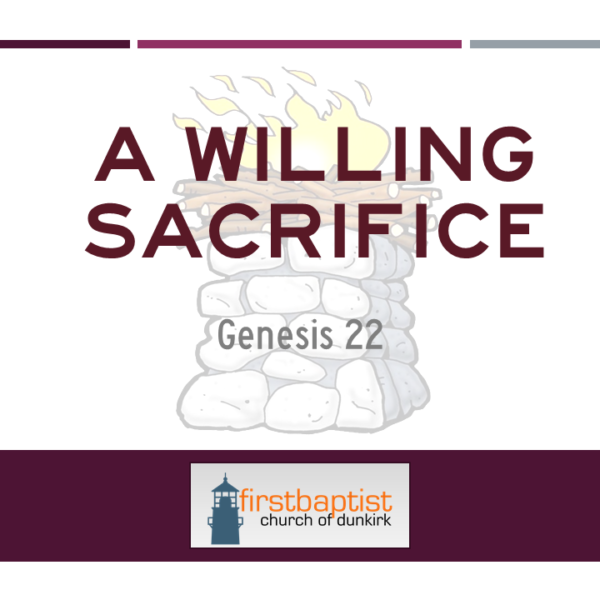 This morning as we continue our Origins stories from the Book of Genesis, we will look at the willing sacrifice of Isaac, we’ll see the parallels to the willing sacrifice of our Lord Jesus Christ, and the call for sacrifice in our own lives. In this passage, God tested Abraham’s faith and provided an illustration of a willing sacrifice – the Redeemer who would come to bless all the nations of the world and take away their sins. Jesus Christ was the substitute for you and me. Have you accepted Jesus sacrifice for your sins? Just knowing about it is not enough. God calls you to repent of your sins, believe that Jesus, the Son of God, died on the cross paying the penalty for your sins, and rose again to new life. Come talk to me if you want to be sure of your salvation today. If you have already trusted Jesus as your Savior you are His disciple. Listen to what Jesus to us, His disciples. This passage in 1 Corinthians 3 talks about the Judgment Seat of Christ or the Bema seat when believers works or sacrifices will be judged and rewarded for their purity. “Each one’s work will become manifest for the Day will disclose it, because it will be revealed by fire, and the fire will test what sort of work one has done. If the work that anyone has built on the foundation survives, he will receive a reward. If anyone’s work is burned up he will suffer loss, though he himself will be saved, but only as through fire. 1 Cor. 3:13-15 ESV. Are you willing to sacrifice anything, even yourself, for the sake of the Gospel? Are you willing to give up the parts of your life that need to change or be removed for you to become more like Jesus? Your time, your children to serve, your money, your life? All these things already belong to God if you are His son/daughter. Let’s be good stewards of all He has entrusted to us.